While storing food in containers is a practice that is thousands of years old, and selling food in bottles and cans is prevalent since 1700s and 1800s respectively, the modern age of food packaging began in 1890s. Crackers were first sold in sealed waxed paper bags inside a paperboard box and plastics and other synthetics began to appear in the 1920s and ’30s. That being the background, today the packaging industry is growing at a fast pace and rides on increased industrial production and international trade. The demands on package converters have become more intense and sophisticated. Interestingly, while India has the second-largest GDP among emerging economies based on purchasing power parity and is the fourth largest economy in terms of purchasing power parity, the packaging industry in the country is one of the fastest-growing industries which has its influence on all industries. 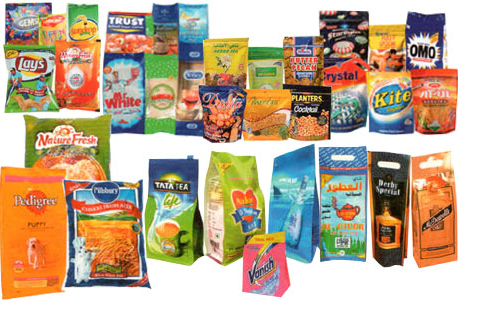 The Indian packaging industry is growing continuously. Its total worth is about US$24.6 billion. The average annual growth rate is about 13 - 15%. However, there is great growth potential in the sector since India’s per capita consumption of packaging is only 4.3 kg whereas Asian countries like China and Taiwan show about 6 kg and 19 kg, respectively. This clearly indicates that there are many more commodities which need to be marketed in packaged condition and thus, a great business opportunity stands for the Indian packaging industry. Moreover, the Indian retail market is the fifth largest retail destination globally and has been ranked the second most attractive emerging market for investment. The market is currently valued at US$350 million and is expected to rise to US$1.3 trillion by 2015. The packaging industry is expected to grow at a CAGR of 12.3% during the forecast period, to become the fourth-largest global market, with sales of US$43.7 billion in 2016. Manufacturers of consumer packaged goods face two key challenges in 2015. The first is continued slow or negative growth in people’s disposable incomes. The second is changing consumer attitudes toward products and brands, as the the great fragmentation of consumer markets takes another turn. In response, companies must dramatically shift the route they take to reach consumers in terms of both product distribution and communications. In many markets, consumer wages have been static for five years. Even where economies are starting to perform better, the squeeze on after-tax wages, especially for the middle-class, younger people, and families, is affecting consumer spending. Although growth in developing countries is still better than in the United States and Europe, a slowdown in emerging countries such as China — where many companies had hoped for higher sales — has translated quickly into lower-than-expected consumer spending growth. It is expected to continue regardless of which way macro GNP uncertainties break. Fragmentation is manifested in consumer behaviour and market response. In both developed and emerging markets, there is a wider variety among consumers now. Growth is evident both at the top of the market (where more consumers are spending for higher quality food and other packaged goods) and at the lower end (where an increasing number of consumers are concentrating on value). But the traditional middle of the market is shrinking. Further, individual consumer behaviour is more pluralistic. We are used to seeing, for example, spirits buyers purchasing a premium brand in a bar, a less-costly label at home for personal consumption, and yet another when entertaining guests. But this type of mixed shopping has now spread to the grocery basket. Fewer consumers are making one big stocking-up trip each week. Instead, shoppers are visiting a premium store and a discounter as well as a supermarket, in addition to making frequent purchases online. In the recession, more shoppers became inclined to spend time hunting for bargains, and as some traditional retailers either went out of business or shuttered stores, retail space was freed up and was often filled by convenience stores, specialty shops, and discounters.